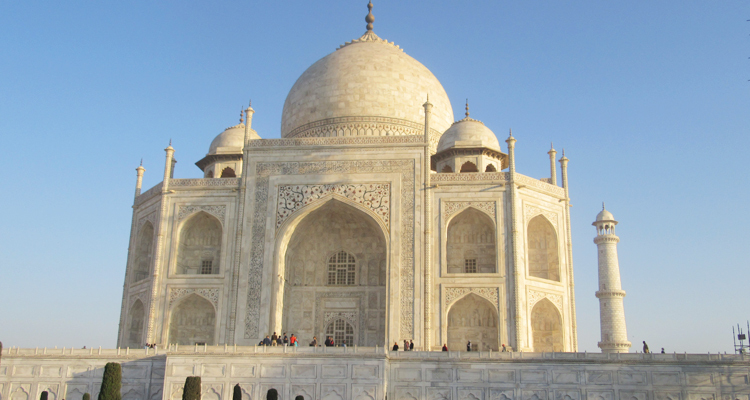 Golden Triangle with Ganges tour presents a combination of various art and cultures. This tour lets you expect all of these in a remarkable way. 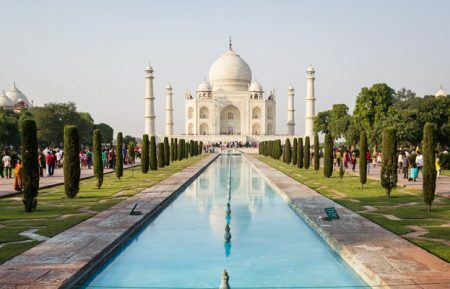 Delhi, Agra, and Jaipur are a combination connection of past, present and future. After breakfast at hotel, check out and drive to Jaipur. On arrival, transfer to hotel and stay overnight. After breakfast, drive to Agra and en-route, visit Fatehpur Sikri. On arrival, check into hotel for overnight stay. Early morning leave for a boat excursion on River Ganges to see the bathing ghats and cremation site. This afternoon, you will also visit Sarnath. Take a glimpse of the ruins, the famous Stupa, Buddhist Temple and the museum. Later in the evening take a over night train to Delhi and later our driver take you to Airport. Sightseeing tour of Delhi - Visit Red Fort, Jama Masjid, Raj Ghat, Humayun's Tomb, Qutb Minar, India Gate. 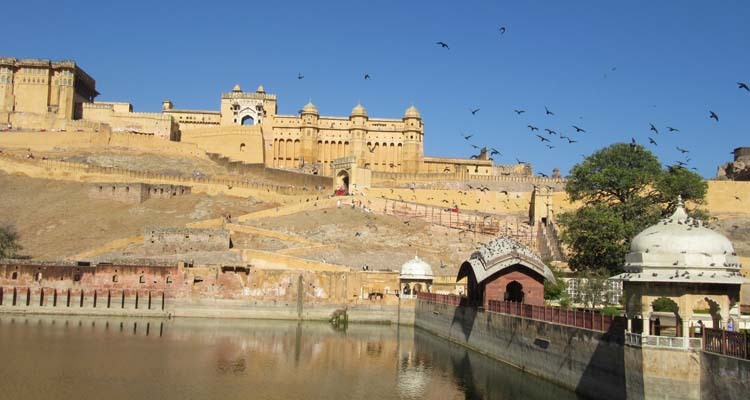 Excursion tour to Amber fort, Hawa Mahal, City Palace, Central Museum and Jantar Mantar. 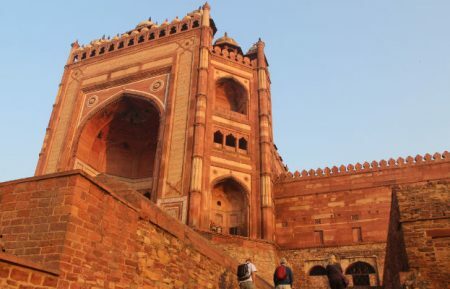 Visit Fatehpur Sikri, an abandoned city in Agra. Agra sightseeing tour, visit Agra fort, Taj Mahal and other attractions. 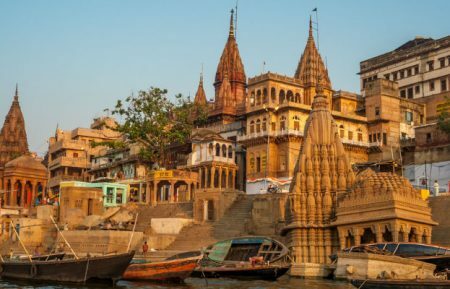 Explore major tourist attractions in Varanasi like Bharat Mata Temple, Durga Temple, Tulsi Manas Mandir, Banaras Hindu University, Kashi Vishwanath Temple and other attractions. 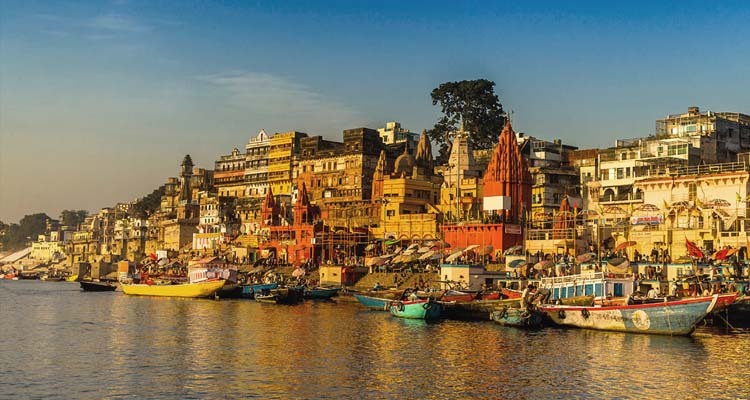 Enjoy a boat ride and the exciting evening Aarti at the Ghats of Ganges.